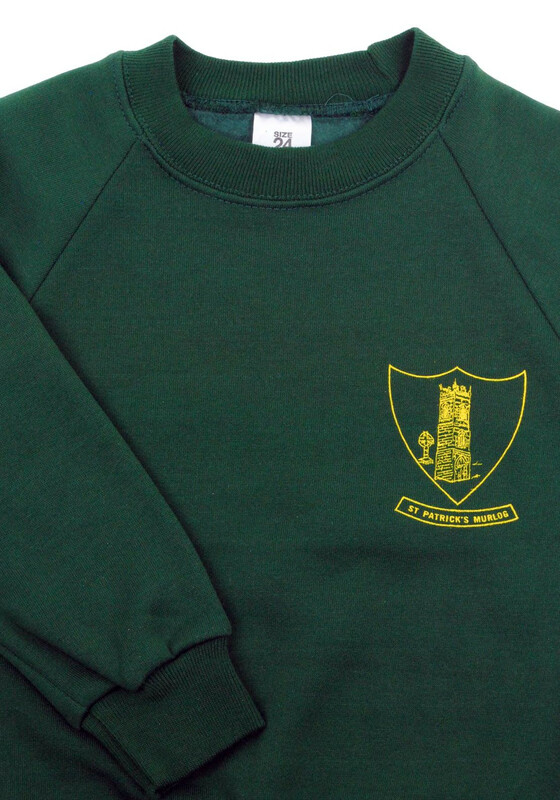 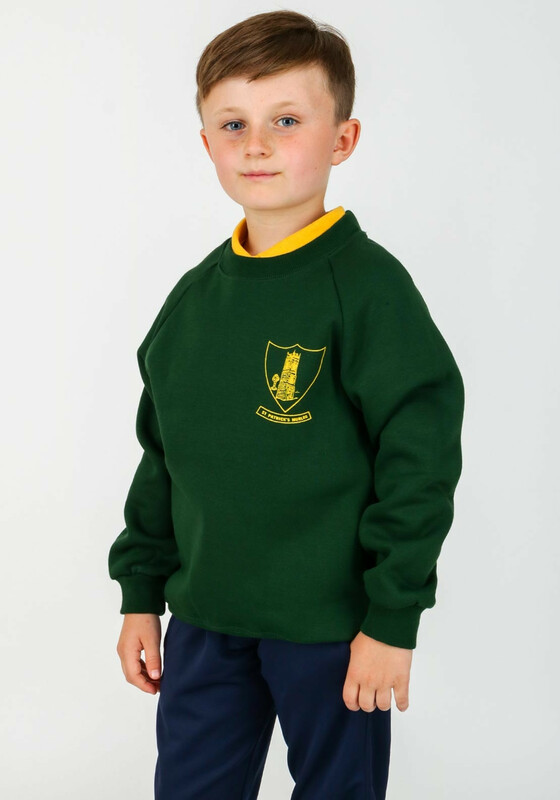 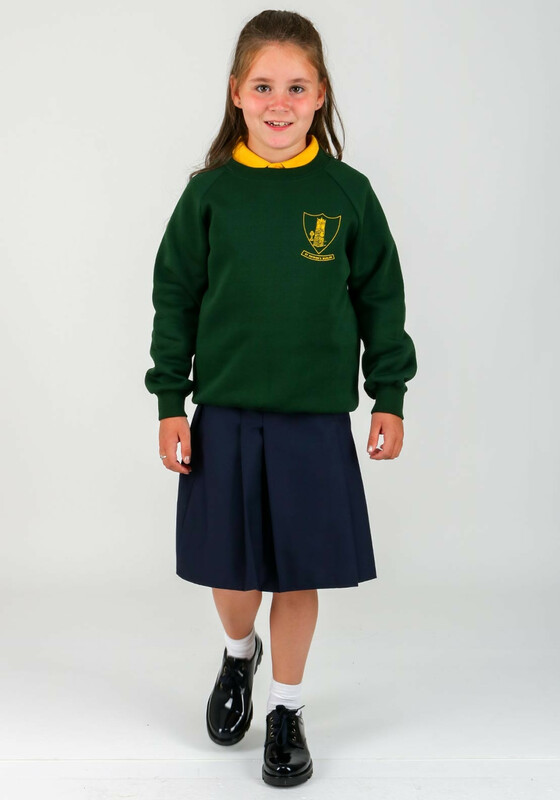 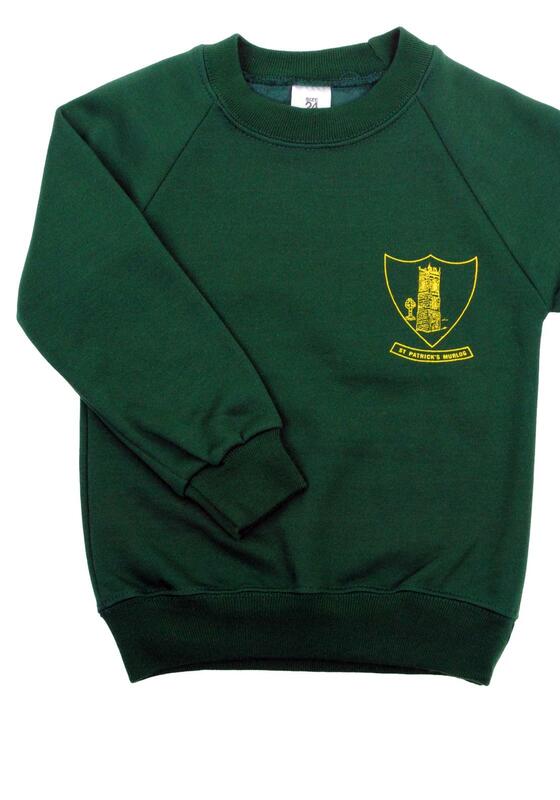 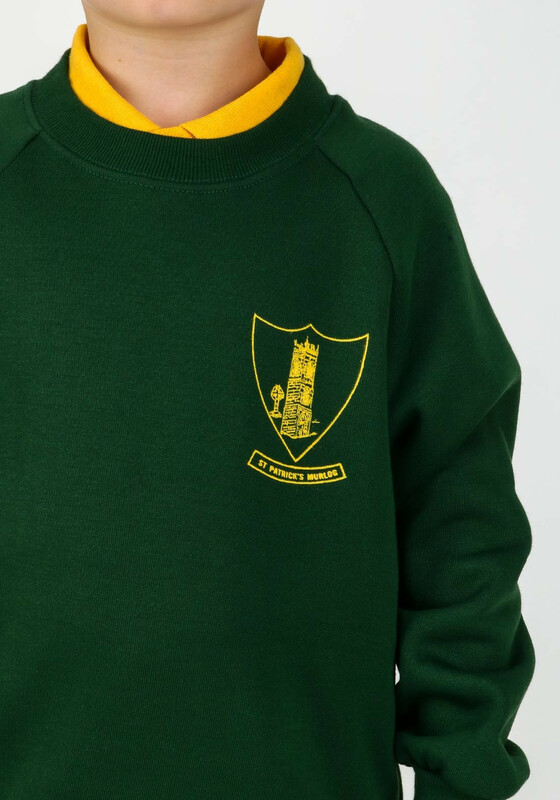 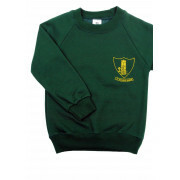 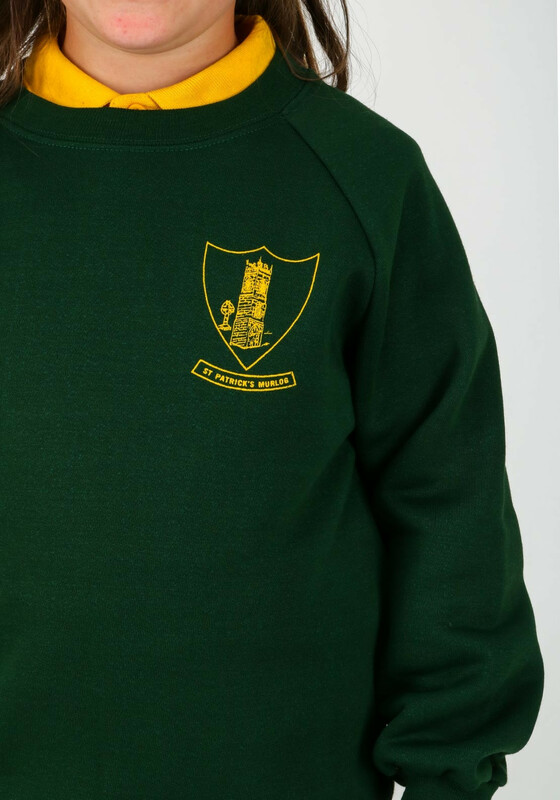 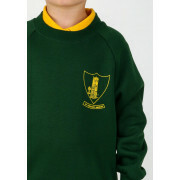 St Patricks Murlog N.S School uniform jumper in a green shade. 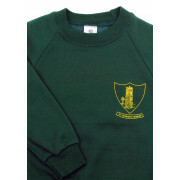 It has the school crest on the left side of the chest. 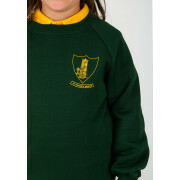 It features a ribbed round neckline, cuffs and hem. 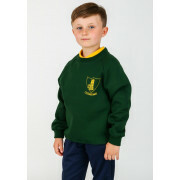 This jumper is made from the highest quality and is easy to care for.